Step 1. Improper gap, space or worn, missing, or broken bolt rings (1). Replace bolt rings and stagger gaps. 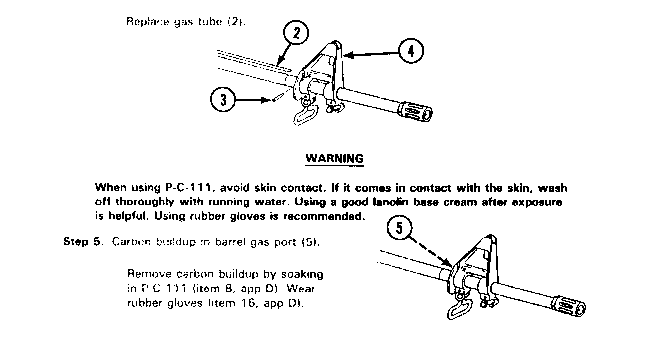 Adjust by bending in area of handguards or replace gas tube. Step 3. Gas tube spring pin (3) missing from front sight (4). Replace spring pin (3). Step 4. Partially plugged gas system because of carbon buildup in the gas tube (2).